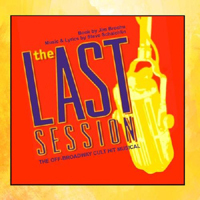 Original London Cast, 2012 (JAY) (4 / 5) When The Last Session premiered Off-Broadway, medicine was only just beginning to successfully cope with AIDS, removing its label as a death sentence and placing it more firmly in the chronic-illness category. This raises thoughts about how any present-day production of the show is perceived. For those encountering it for the first time, it might be viewed as a dark historical document; but for those who experienced it back in 1997, any new staging or recording is a stark reminder of what was once everyday reality. Those auditors may feel as if they’re reliving a too-painful past, and may well feel renewed fury mounting and tears welling up. Memories of friends and loved ones lost are not the sole reason for the fury and the tears; much of the credit for effect goes to Steve Schalchlin for the power and grace of his songs. Schalchlin writes brilliantly about Gideon and boyfriend Jack, Gideon’s parents, his AIDS support group. There’s not a song here — all of them written in a rock or folk-rock mode — that doesn’t break the heart. Perhaps the most crushing of all is “Somebody’s Friend,” which poignantly recounts the rumors of miracle cures that constantly circulated. 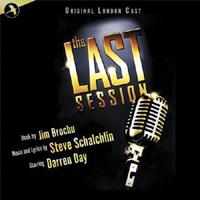 The first-rate singers on this cast recording of a 2012 London production, directed by Guy Retallack and conducted by Tom Turner, are Darren Day as Gideon and Simone Craddock, with AJ Dean, Ron Emslie and Lucy Vandi as the others engaged in Gideon’s melancholy farewell recording. Call it strong medicine. — D.F.